No one is quite sure how the UK duo Autechre make their electronic music. Sure, they use software and computers, they program, they use hardware synths and drum machines and samplers, they improvise, they code, they make beats, they tweak, but we really don’t know how they work. Not only is the group’s musical sum is more than its technical parts–we don’t know what those parts are. 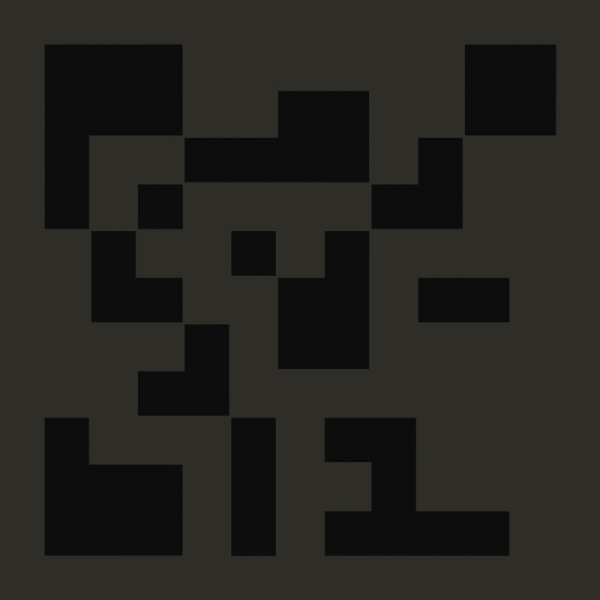 The Autechre sound is difficult and opaque, yet also endlessly surprising and engaging and at times emotionally moving too. Critics have called the duo “top-notch sonic magpies and brilliant technicians” (Grayson Currin writing at pitchfork.com) whose music “always implied a kind of future music–as in, a sound that points to a possible futuristic norm” (Charlie Frame writing at thequietus.com). However you want to describe the group or their sound, Autechre have a clarity and concision about them. For me, the most significant attributes of Autechre’s music are its rhythmic invention, its timbres, and its sense of process or change through time. The group’s best moments are those that are continually shape-shifting rhythmically or timbrally into ever new forms. This is what makes the music thoughtful, probing, and utterly unlike so much 4/4 thumping electronic dance music. Autechre may have grown up among the conventions and grooves of techno and hip hop, but they’ve long since left those stylistic orbits in the pursuit of more experimental designs that still manage to pulsate and groove in a physically alive kind of way. The twelve-minute track “Bladelores” from Autechre’s recent recording Exai demonstrates a sense of musical process, and a bird’s-eye of the piece gives us a sense of its structure. On its surface, “Bladelores” is accessible because it begins has funky muted kick drum and a simple white noise backbeat on 2 and 4 that is drenched in reverb and joined by a repeating acidic bassline. It’s almost like a slow hip hop groove. At 1:00 a pulsating harmonic thing joins the mix, blending in with the long reverb tail triggered by the white noise backbeat. At 2:16 the pulsating thing becomes louder, accentuating the offbeats. The groove feels good. Meanwhile, what seemed to have been a reverb tail has morphed into a kind of chordal wash that is growing steadily. By about 3:15 you notice the chordal wash is in fact two chords that are alternating and repeating, and by 4:00 you notice the backbeat is fraying and coming apart a bit and the bassline becoming squelchy. Around 4:55 the chords and backbeat cut out, leaving just the brittle bassline. Soon though–from 5:11 to 5:37–the chords surge to the foreground again for a moment, even hitting a kind of resolution, only to be cut out at 5:38 where the backbeat, the reverb tail, and bassline return, reset and slightly altered. The chordal wash joins in again around 6:35 and for the next two and half minutes grows in intensity as the percussion and bassline keep fluttering about. The reverb from the outset of the track has been transferred to the chords, making their resonance grow to gargantuan proportions. At 9:00 the backbeat abruptly stops, leaving the bassline to slowly dissolve into the resonant chords that continue to thicken until they hit a resounding wall of harmonic sound at 11:00 and then gradually fade out for the end of the piece. As with a number of fine Autechre tracks, you didn’t expect this one to turn out like this. It just seemed to somehow evolve. This is the rough structure of “Bladelores.” But I’ve left out the details, and these details manifest themselves as changes that happen to the music in a continuous flow. If you listen to any one-minute section of the track and focus on a single sound–the backbeat, the bassline, the chords–you can hear micro changes inflicting themselves continuously on each part, second by second. So that white noise back beat is almost never only a marking of beats 2 and 4, nor is that bassline merely marking a chord progression. Upon closer inspection, the parts keep changing rhythmically and/or timbrally and this change is the basis of the processual aspect of the music as a whole. This processual aspect of the music reminds me of what the musicologist David Burrows notes in his article “A Dynamical Systems Perspective on Music”: music creates for us “a now whose content changes ceaselessly” (The Journal of Musicology Vol. 15, No. 4: 1997:529). In sum, Autechre’s music doesn’t just move from one section to another–it doesn’t have seams like that. What it does do is shape-shift over time, and this makes for a challenging and enchanting listening experience. You can read more about Autechre here and watch a Ventrilo-Dialogue with them here.